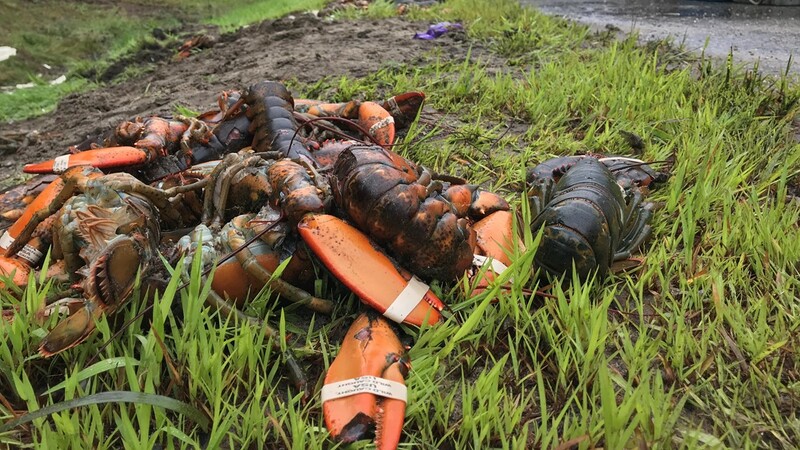 A truck carrying 7,000 pounds of lobster crashed on Route 1 in Brunswick Wednesday spilling the creeping crustaceans all along the roadway. 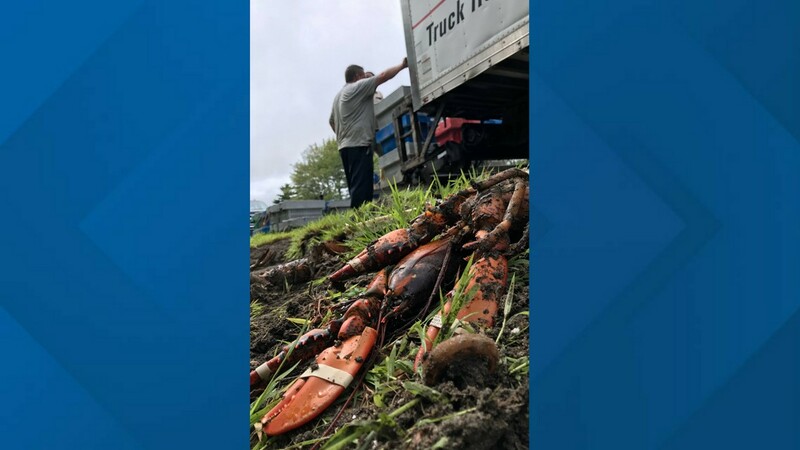 BRUNSWICK (NEWS CENTER Maine) — A truck carrying 7,000 of pounds of live lobster crashed on Route 1 in Brunswick Wednesday spilling the creeping crustaceans all along the roadway. 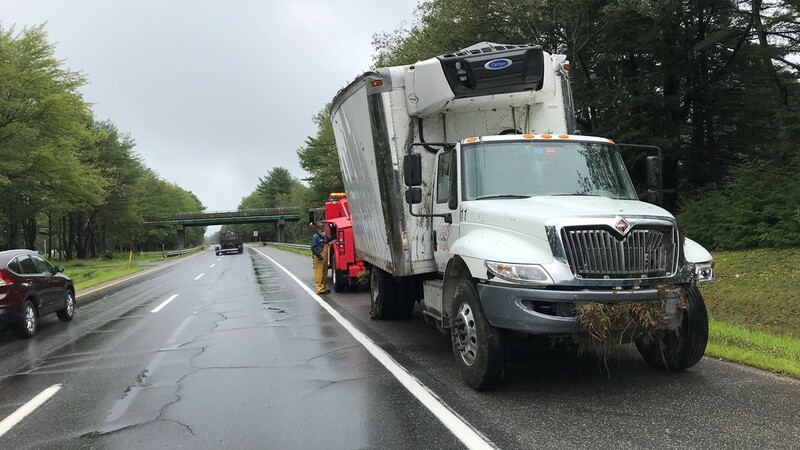 The truck was carrying 7,000 pounds of lobster, before crashing on Route 1 in Brunswick Wednesday. Police say 60 to 70 crates of the cash crustaceans probably hydroplaned sending the tuck rolling down a steep embankment. 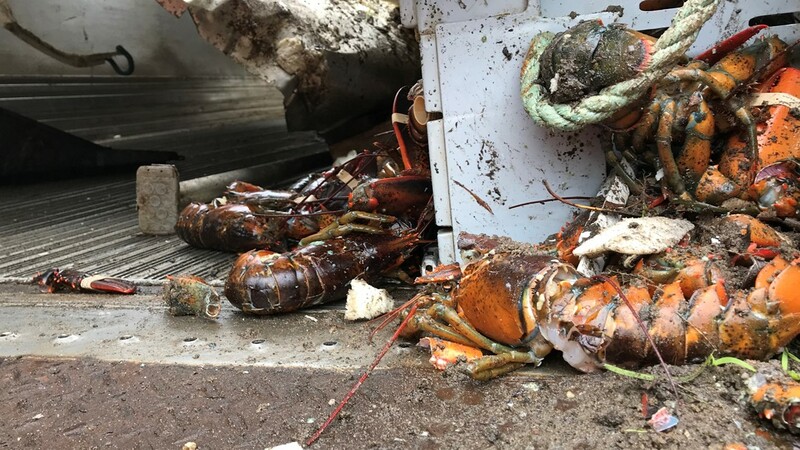 The 7,000 pounds of lobsters were packed up and hauled away but will not be for sale. 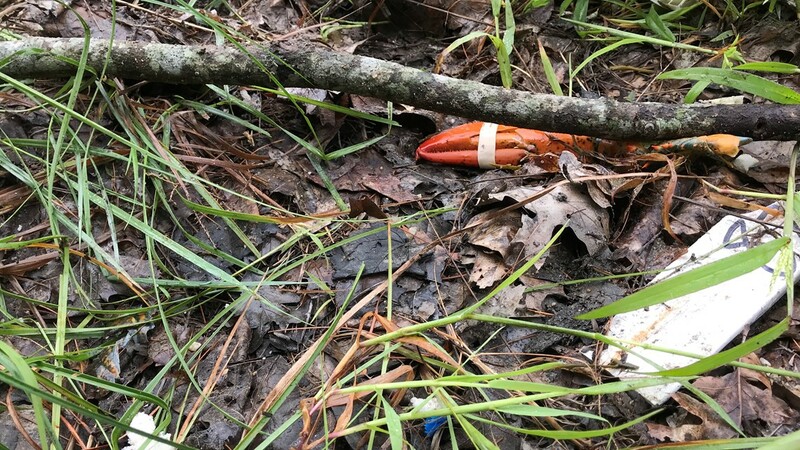 The crustacean could be seen all along the roadway. Onlookers say there are still a lot of lobsters on the side of Route 1. 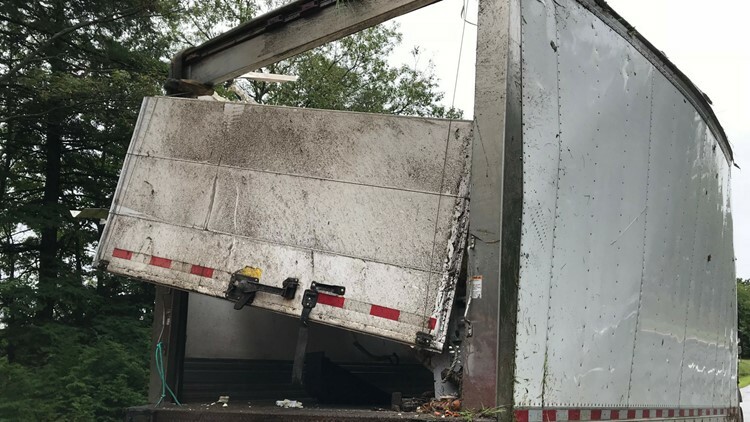 Police say they think the Cozy Harbor Seafood Inc. truck carrying the 60 to 70 crates of the cash crustaceans probably hydroplaned sending the truck rolling down a steep embankment. The top of the truck was ripped open during the crash that happened around 11:30 p.m. The driver of the truck is being treated for non-life threatening injuries at Mid Coast Hospital. Many of the 7,000 pounds of lobsters were packed up and hauled away from the crash scene but will not be for sale. Onlookers say there are still a significant amount of lobsters on the side of Route 1.